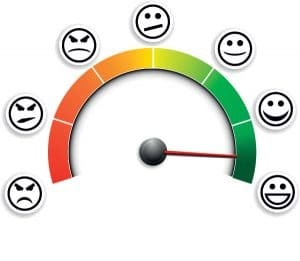 Much of the management guidance used in western businesses for delivering employee feedback suggests that the best approach is to say something good, followed by commenting on an area for improvement then close with more positive feedback. While this method is valid in many English speaking cultures, it can also prove to be ineffective and even damaging in a great many others. One of the problems with relying on management research from a culture and country other than ones own, is that much of the advice may not work for your culture. This is the case as much in delivering feedback as it is on performance incentive schemes, leadership and organisational structures, along with many other facets of business life that are heavily influenced by prevailing cultural norms. This issue is brought into stark visibility in a virtual team, or even a co-located cross cultural team, where team members derive from multiple cultures, each with its own expectations and ways or managing employee feedback that work in their own culture. Cultures with different levels of ‘context’ are one area where attempting to use the same feedback method can lead to issues. This is particularly the case when comparing and working within cultures with noticeably different levels of context, so, high versus low cultures. High Context cultures, are those where many things are left unsaid, relying instead on social norms and nuance for others from the same culture to fill in the gaps in a conversation. Low Context cultures, however, are those where the expectation is for things to be explained or stated in great detail, leaving only minor details for the participants to fill in for themselves. Then along the continuum are all of the mixed cultures where context varies both around particular subjects and also generally. Individuals from cultures with divergent levels of context often find it hard to communicate in the early days of a working relationship, with each party struggling to adapt to the other’s level of context. Those from a high context culture will see the low context colleagues as being overly verbose, and possibly even condescending, when explaining their needs while conversely, the low context personnel will feel they are only ever getting part of the story in any conversation. Managing employee feedback in this environment is, therefore, complicated by the communication expectations of the other party. A manager from a low context culture may feel they need to explain everything and, in doing so, the high context person receiving the feedback may feel they are being overly criticised or even victimised by their manager. A high context manager providing feedback to a low context employee is likely to come across as vague, and to be giving meaningless feedback, since the low context employee may be expecting to receive detailed feedback and not have to resort to filling in gaps themselves. There are a few simple tips to avoid some of the worst traps of managing employee feedback in cross cultural teams. Firstly, just accepting that others have different expectations to yourself is a critical starting point, that everyone is different and that there is no “One size fits all” way to give feedback. Work to understand how the feedback recipient and their culture differ from your own, and to best understand what their normal expectations are for receipt of feedback. Having established the base expectations, when starting to deliver your feedback to the recipient, explain how you normally do it and “warm them up” to your style. In some instances this will allow the recipient to ask questions or adapt their expectations to suit – beware however that in some high power distance cultures the recipient may not be comfortable questioning you, regardless of their level of understanding. Ask the recipient to repeat the feedback and their understanding of what has been discussed and agreed at the end of the session – this will hopefully allow for any necessary clarification – but again be aware of power distance influences. In the days and weeks following the feedback discussions, check in with the recipient to ensure they are still clear about what has been agreed. This will allow for any corrections or further explanations. If the feedback needs to be delivered virtually, using telephone or video, extra care is essential and it may be advisable, in many cases, to either delegate the discussions to a local representative or to defer it until a face to face can be arranged. This is worth considering as such discussions are easy to misunderstand when held over distance, particularly without the visual body language cue’s associated with face to face discussions. Also, take great care not to assume that you can deliver feedback in a truly local way. The cultural nuances, which are built up over a lifetime can not easily be learnt, and it is therefore highly likely that, in trying to do so, you will miss some important and virtually invisible aspect, causing more damage than good. Managed well, the manager to personnel feedback cycle should be a very positive developmental process for all involved, but when fumbled, particularly in the high risk environment of cross cultural teams, it can lead to massive and occasionally irreparable damage. If in doubt, consult a specialist.